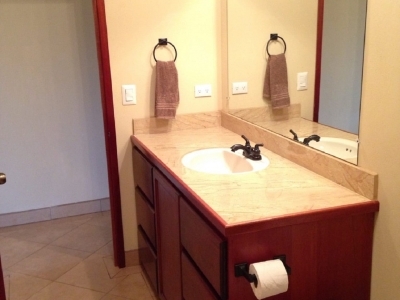 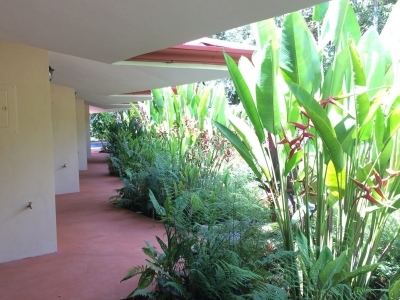 2.8 ACRES – 10 One Bedroom Condos With Shared Pool And Ocean View In Gated Community!!!! 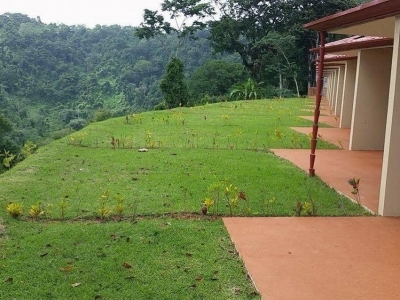 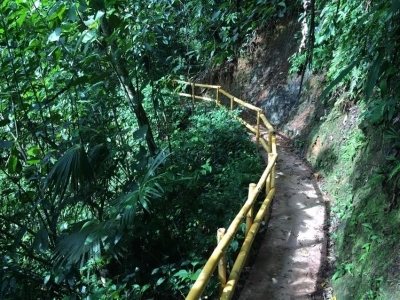 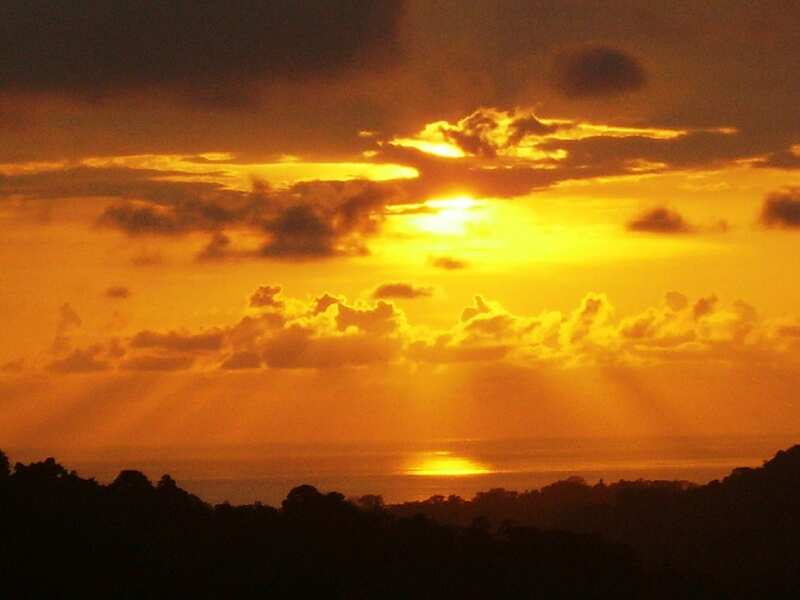 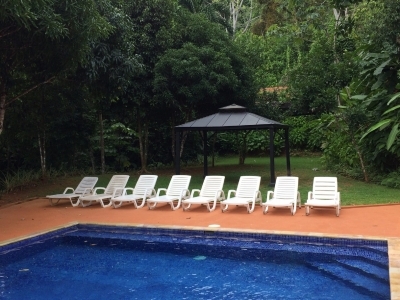 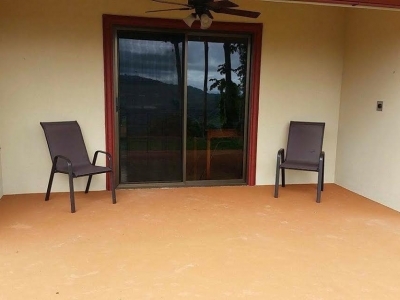 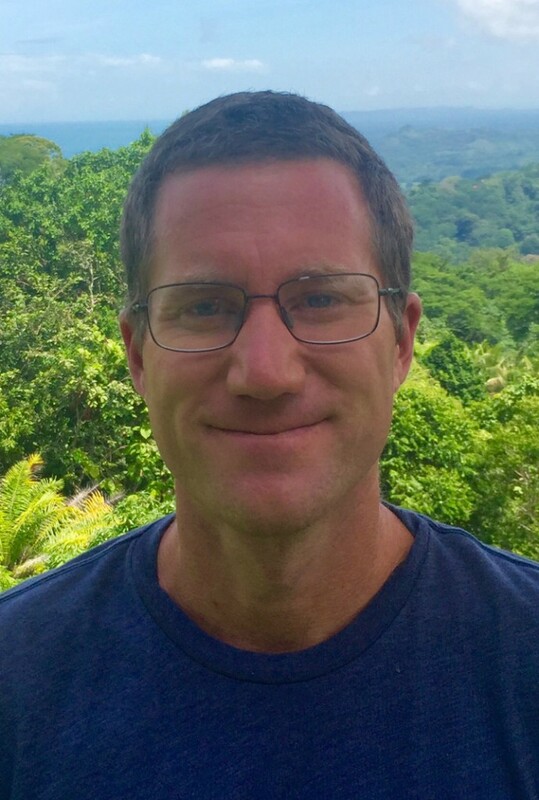 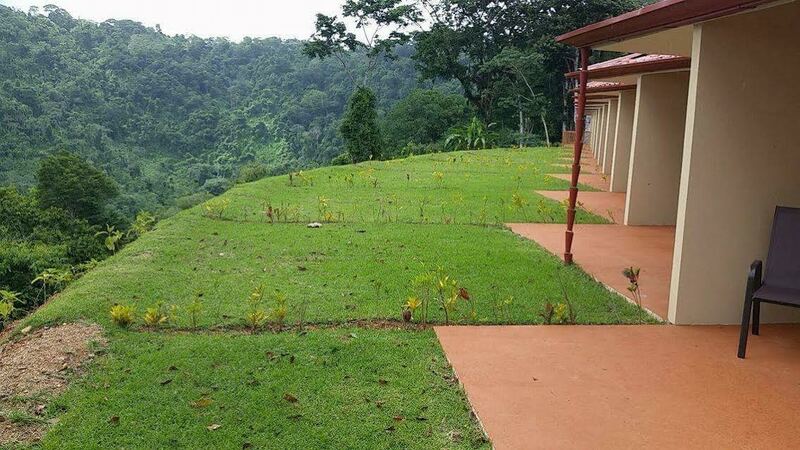 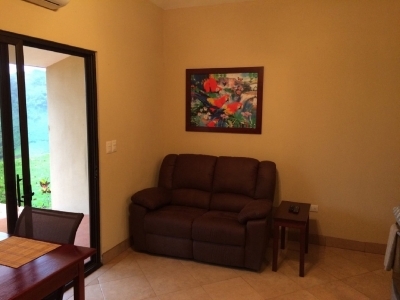 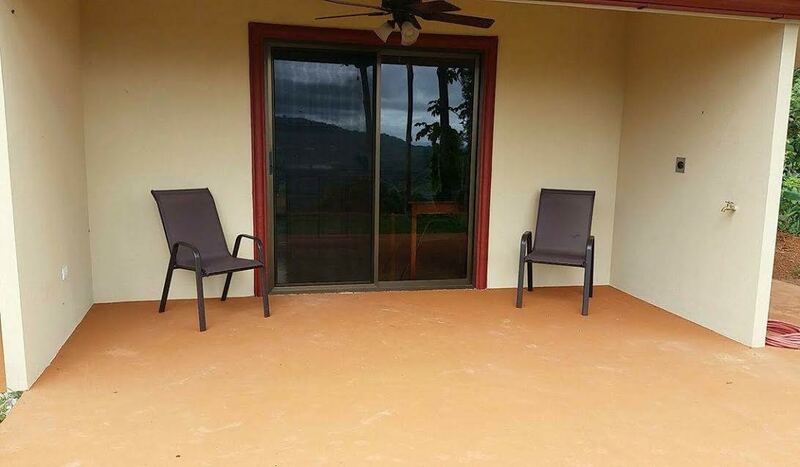 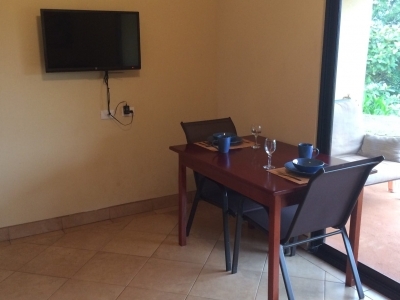 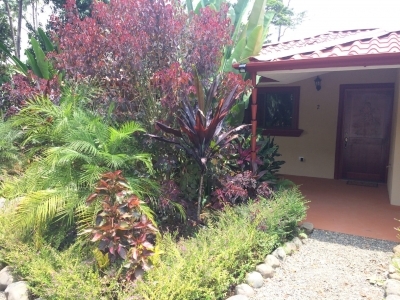 These 10 Ocean View Vacation Rental Condos (Apartments) are in a secluded gated community overlooking the Baru River Valley 10 minutes from Dominical Beach. 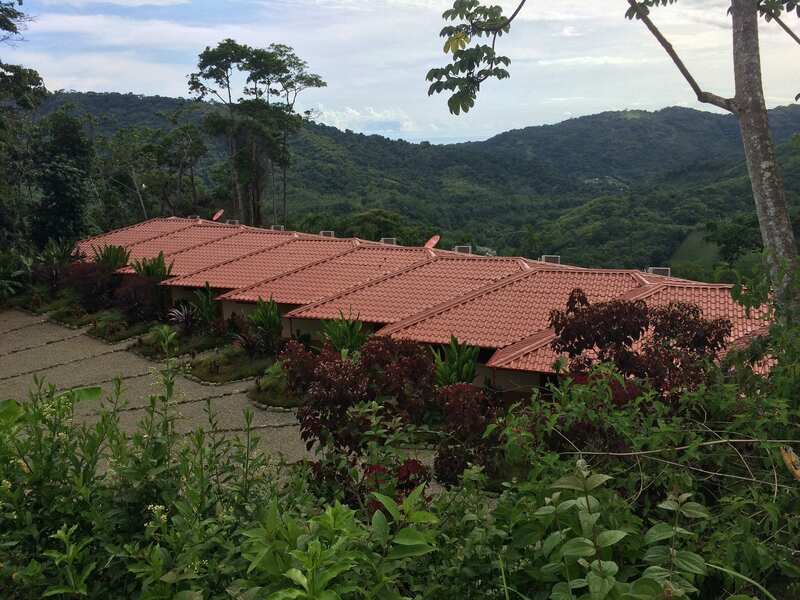 Secured in a gated community 800′ above sea level with refreshing ocean breezes, sweeping valley views, a 220′ community waterfall, and private river park. 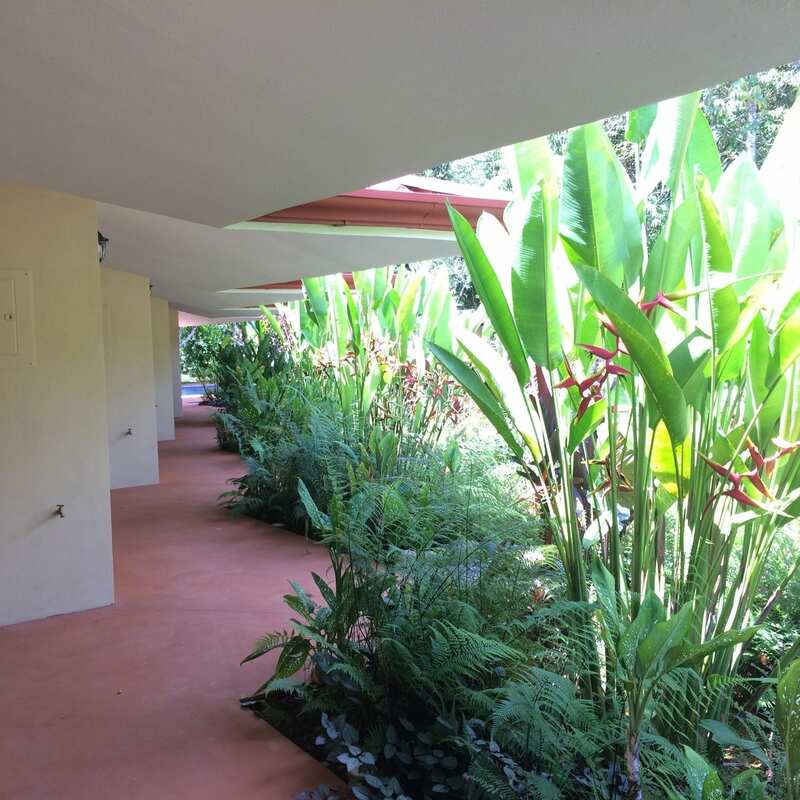 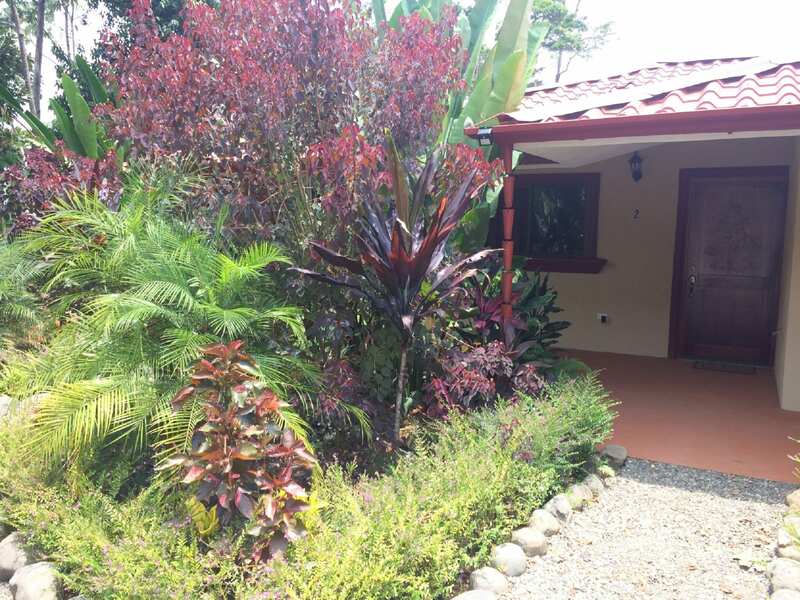 The condos are on a peaceful & private 2.8 acre parcel (11378sm) with a pool, patio, BBQ area, washer 7 dryer, mature fruit trees, & large shaded green area. 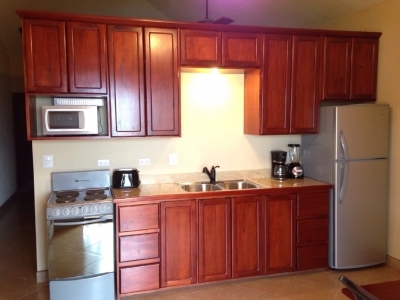 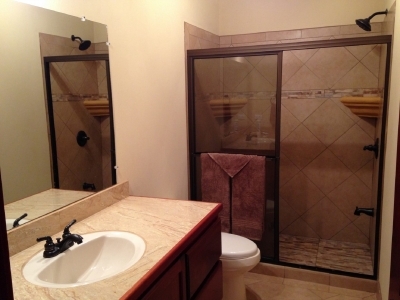 Each condo has a bedroom, bathroom, full kitchen, dining and living room area, and covered back patio. 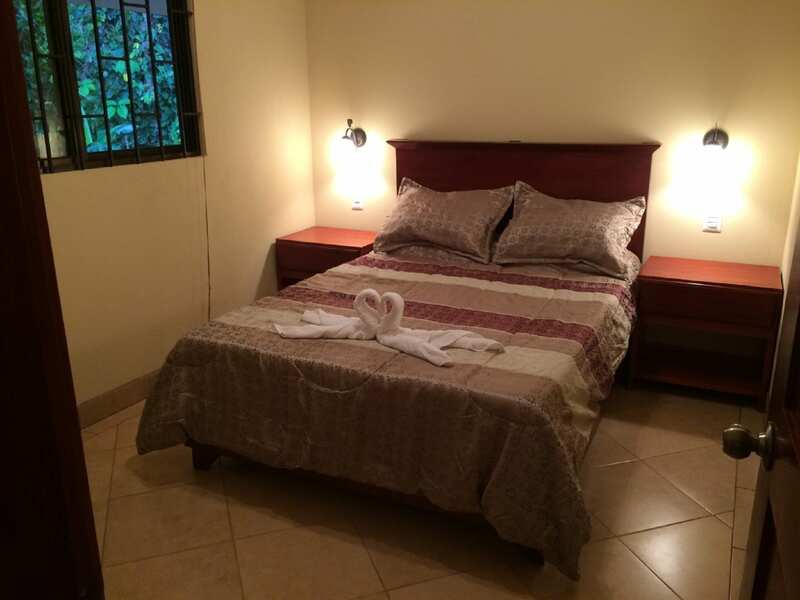 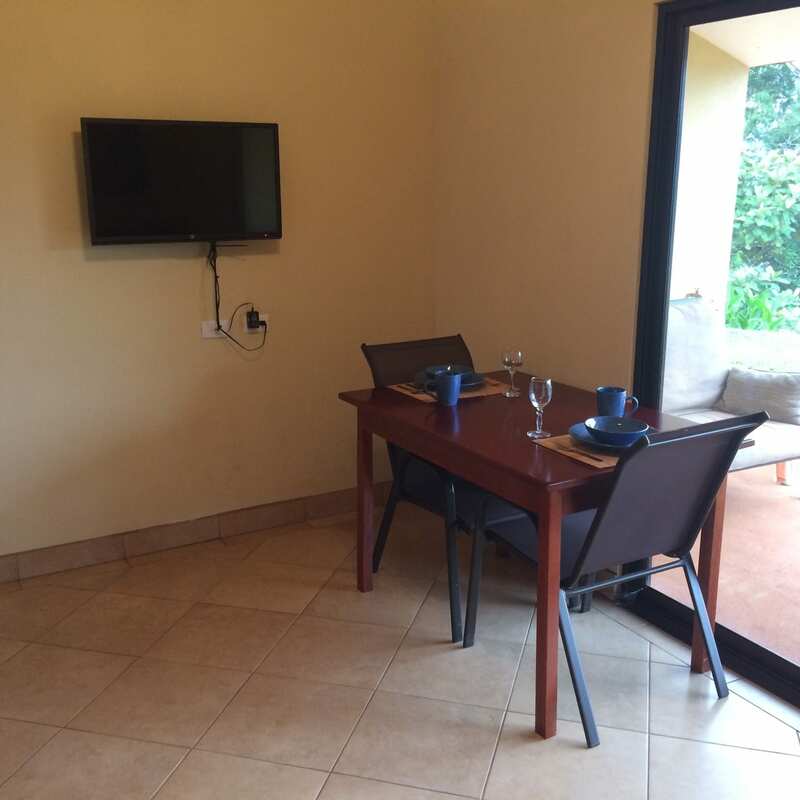 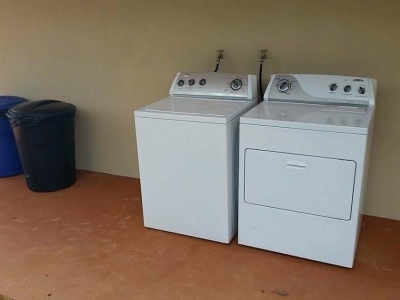 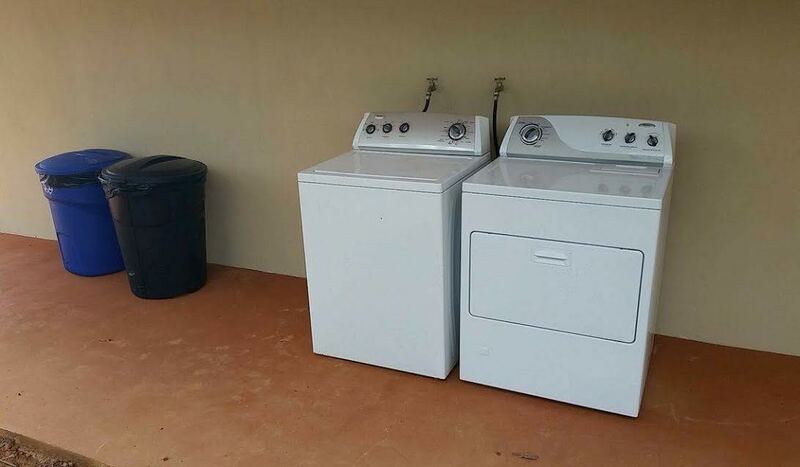 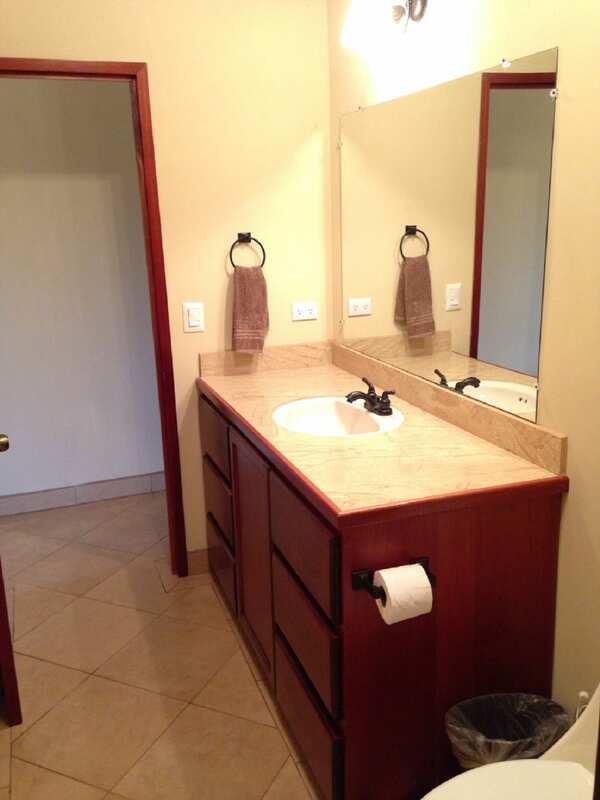 Each unit is fully equipped with AC, ceiling fans, bed, nightstands, reclining couch, dining table and chairs, refrigerator, stove and oven, microwave, coffee maker, dishes, pots and pans, linens and towels, appliances, patio chairs, etc. 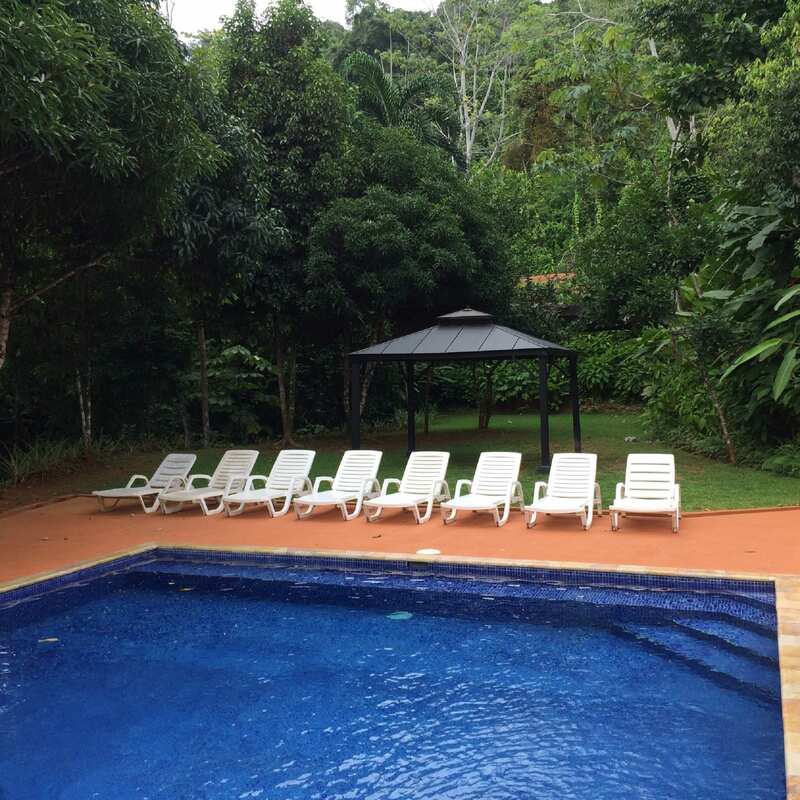 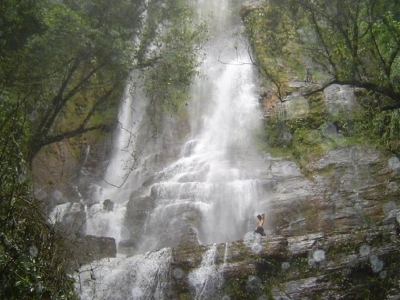 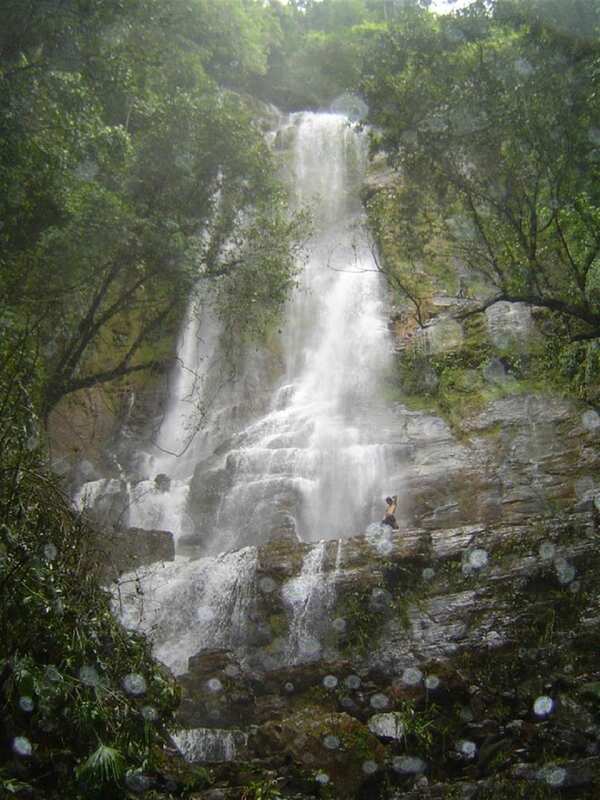 Minutes away are various excursions including beaches, surfing, zip lines, horseback riding to Nauyaca waterfalls, Reptile Zoo, whitewater rafting, Sports fishing, mangroves, snorkeling, scuba diving, kayaking, Wildlife and Bird Watching, etc. 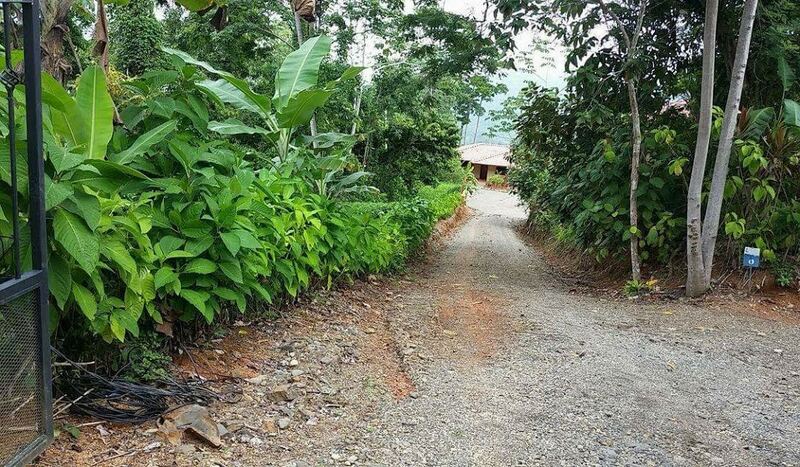 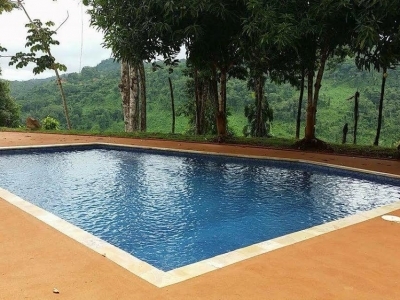 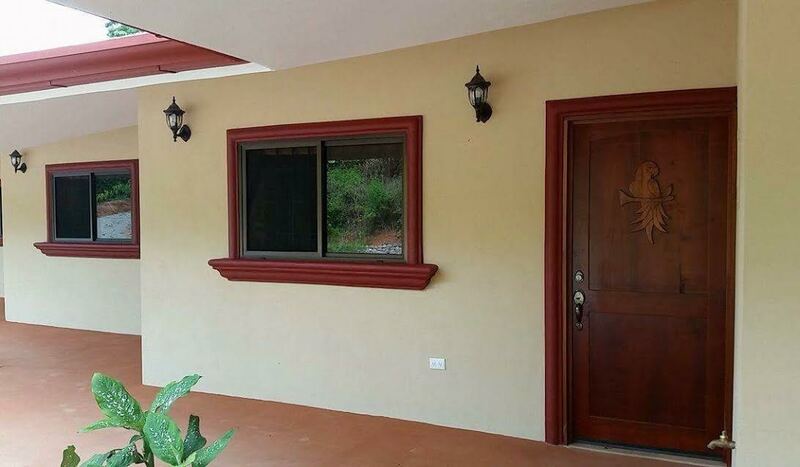 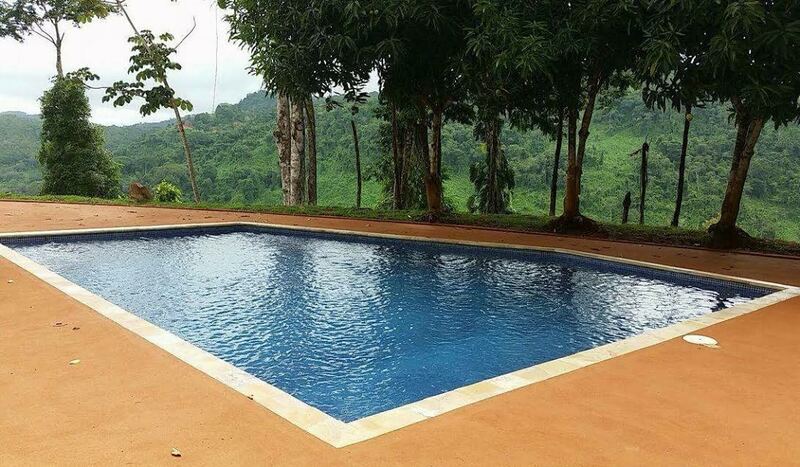 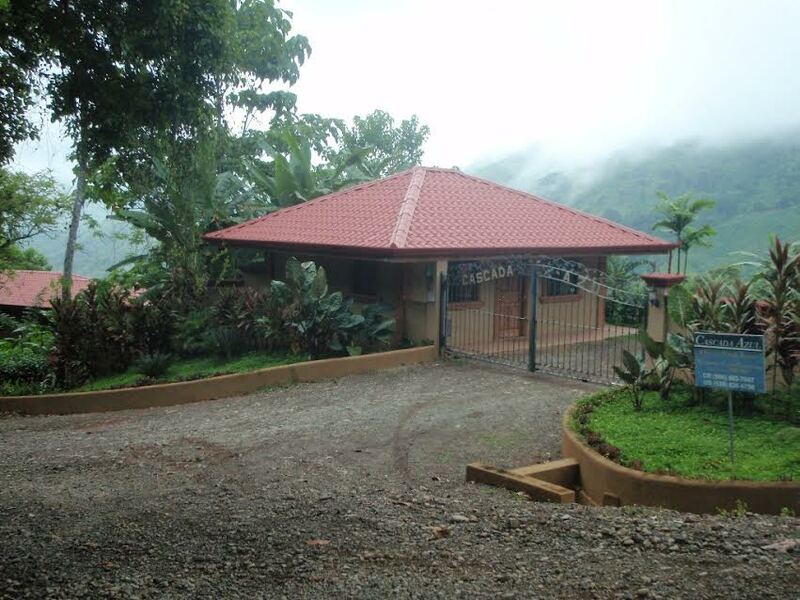 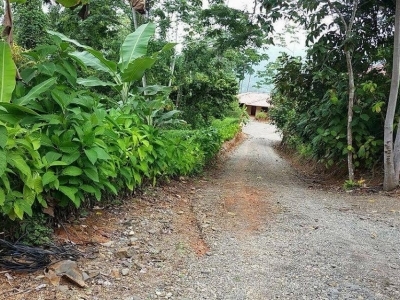 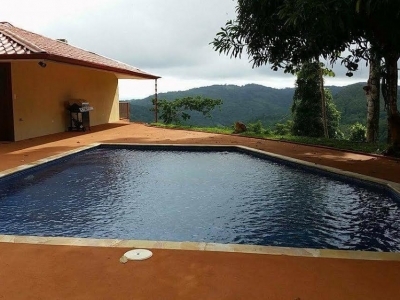 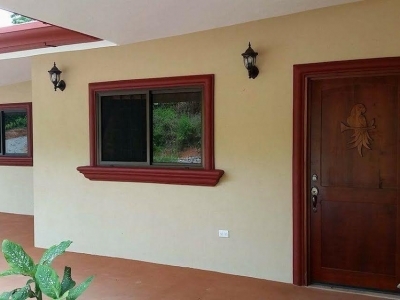 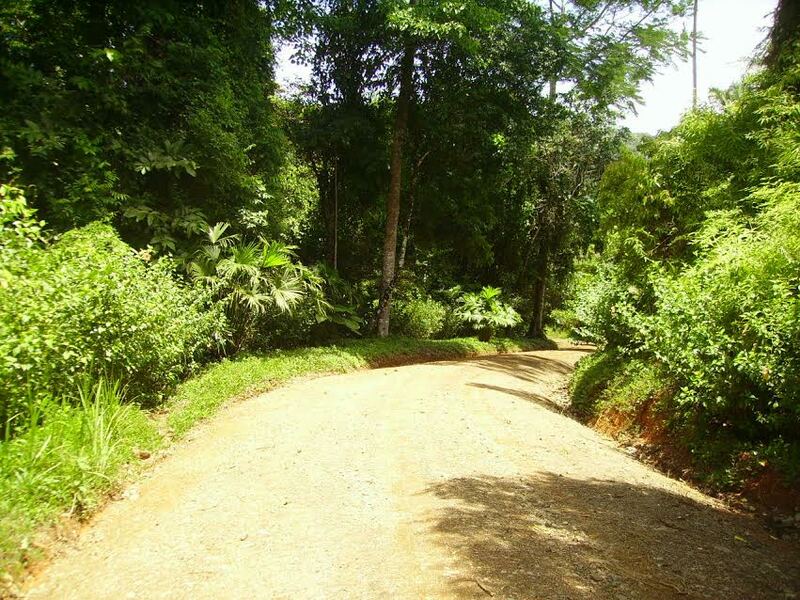 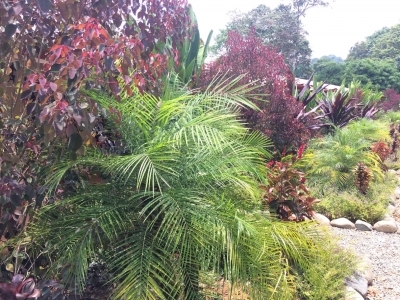 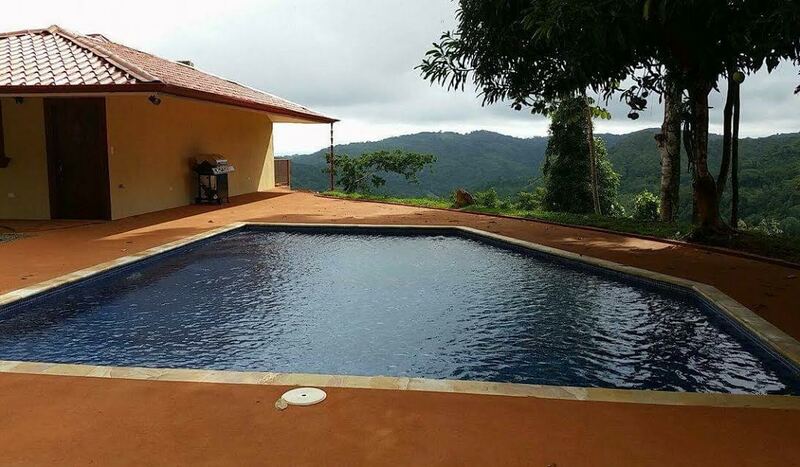 Close to the beach resort destination of Dominical & the towns of Baru and Platanillo with supermarkets, farmers market, bank, gas station, schools, shops, restaurants, medical clinics, car wash, auto repair, fruit stands, and more.